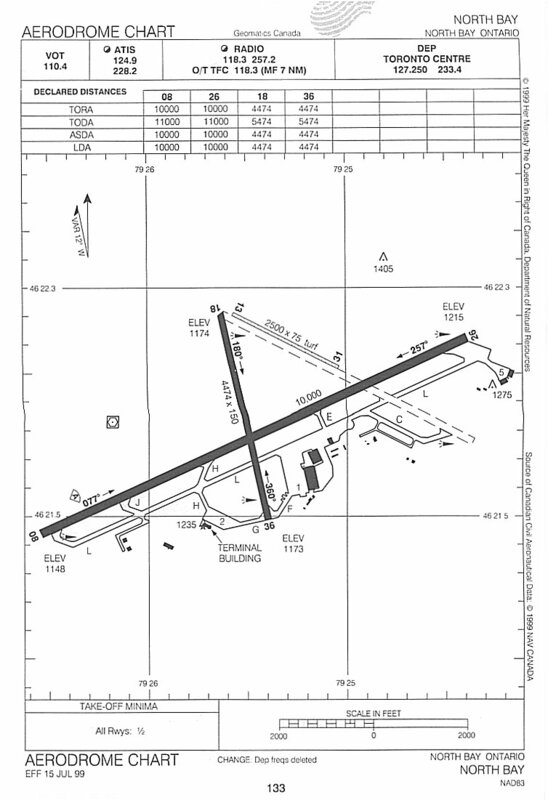 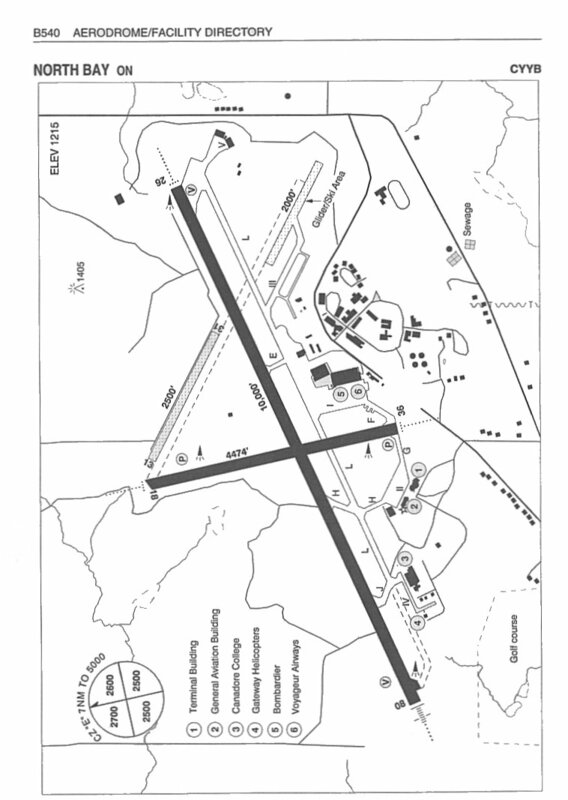 Aerodrome chart for North Bay - 2004. 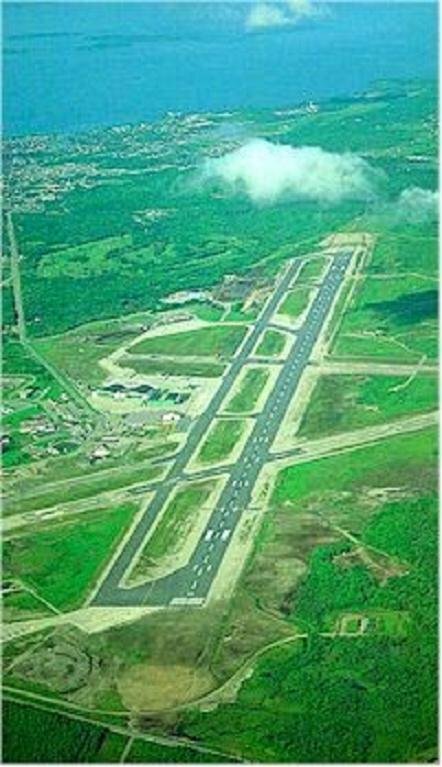 Aerial photo of CFB North Bay - 1985. 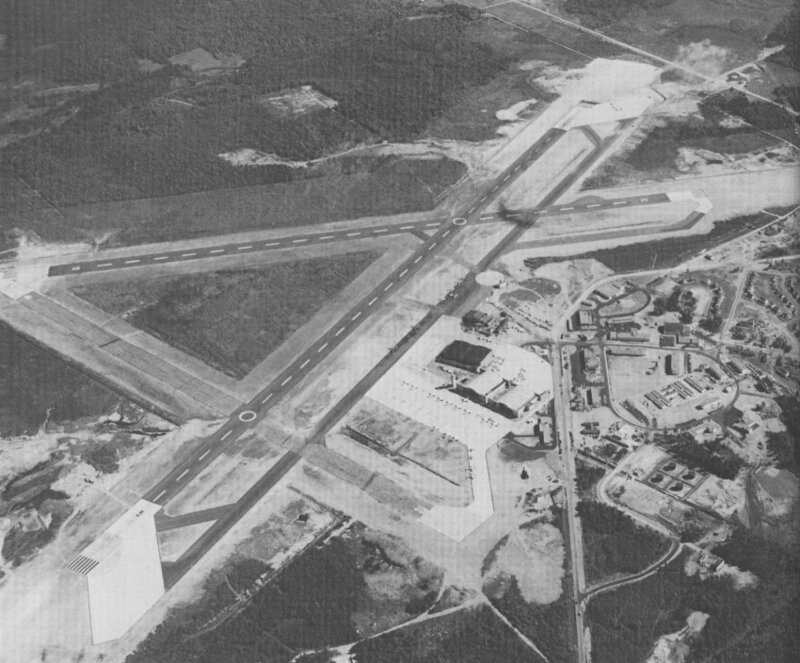 Aerial photo of CFB North Bay - September 1969. 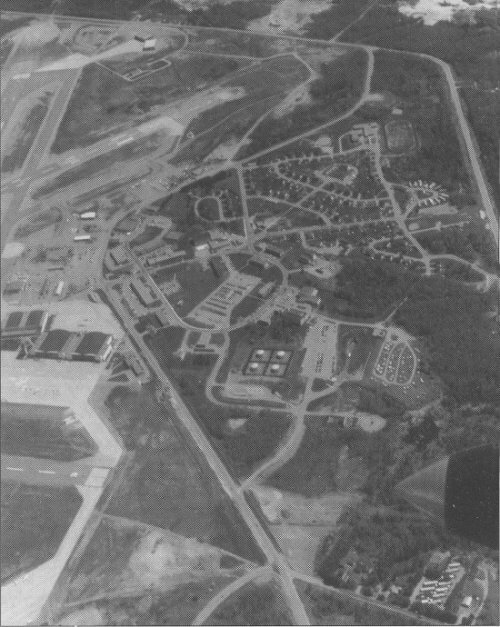 Aerial photo of RCAF Station North Bay - August 1954. 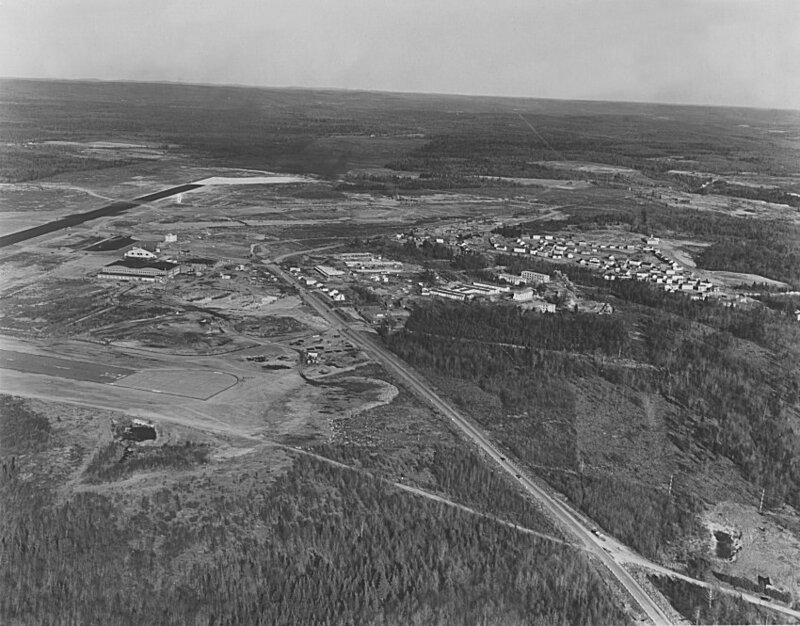 Aerial photo of RCAF Station North Bay - 24 October 1951.